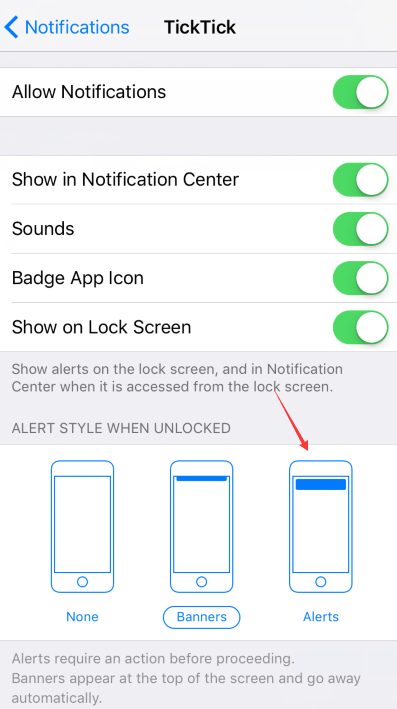 On iOS 10, reminders for app will follow Alert System. When in "Banners" mode, reminder will go away automatically. Settings, Notifications, TickTick and choose "Alerts" mode.